Raj Agrawal (Menlo Park) joined KKR in 2006 and has 20 years of experience. He is the Global Head of KKR’s Infrastructure business and is Chairman of the Infrastructure Investment Committee and serves as a member of the Infrastructure Portfolio Management Committee. He currently sits on the boards of SunTap Energy I & II, Associated Partners and PEMEX Midstream. Prior to joining KKR, he was a vice president with Warburg Pincus, where he was involved in the execution and oversight of a number of investments in the energy and infrastructure sector. 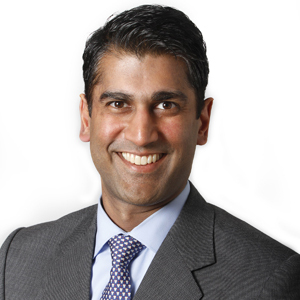 Mr. Agrawal’s prior experience also includes Thayer Capital Partners, where he played a role in the Firm’s business and manufacturing services investments, and McKinsey & Company, where he provided strategic, merger, and acquisition advice to clients in a variety of industries. He holds a B.A., Honors and Distinction, Phi Beta Kappa, from Stanford University and an M.B.A., Arjay Miller Scholar, from the Stanford University Graduate School of Business.